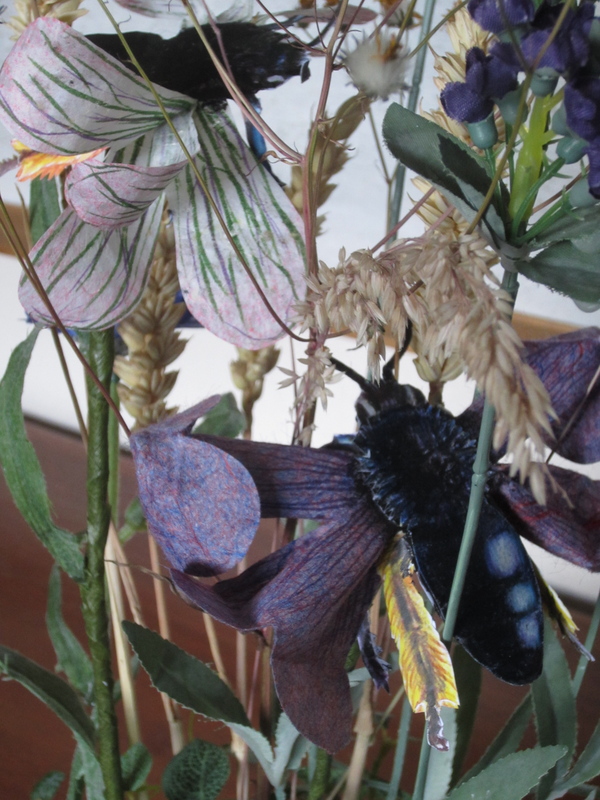 Two insect/plant hybrid sculptures created for the Coastal Currents arts festival. 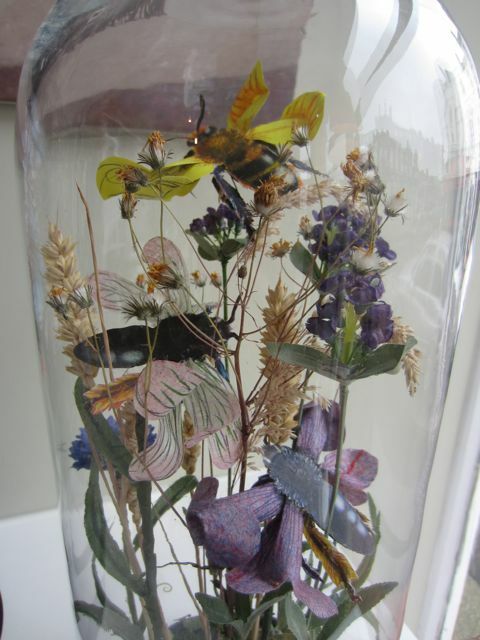 The pieces demonstrate the interdependence of lifeforms, using insects indigenous to my home environment. In particular, the Potter Flower Bees which feature in Symbiosis II are endangered. One of the few remaining colonies in the UK are located close to me, near Seaford. 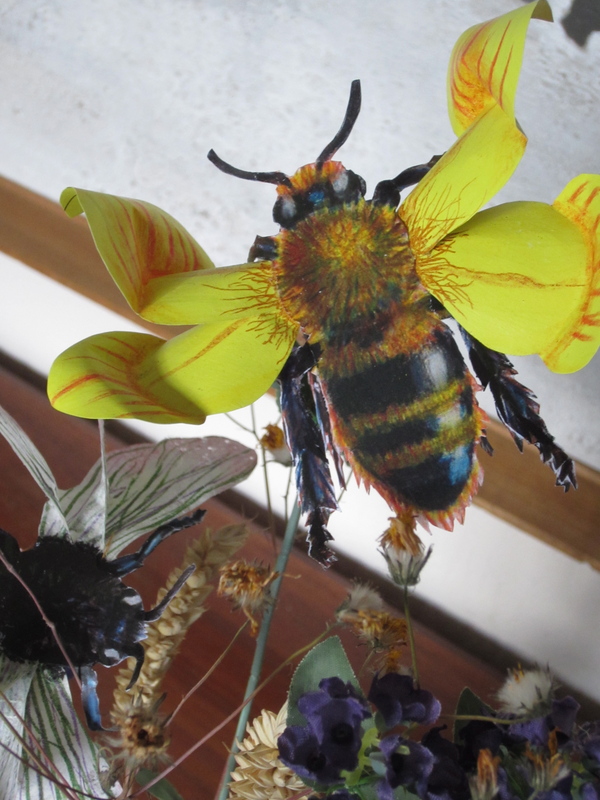 They feed on and pollinate plants such as Bird’s Foot Trefoil, Wild Radish and Purple Vetch, which I have transformed into wings for my paper sculptures. Part of the inspiration for this work came from an important research report about these bees by Rebecca Evans and Simon Potts of the University of Reading, published by Friends of the Earth. 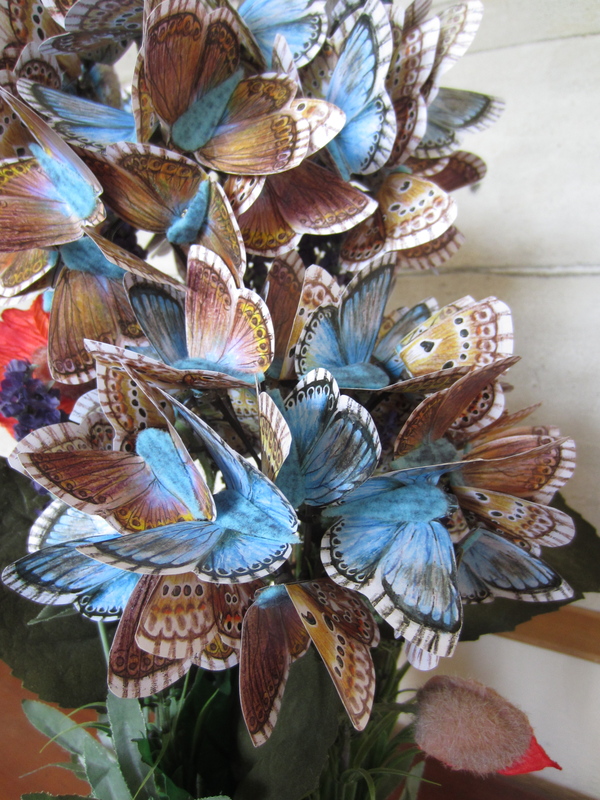 The other piece, Symbiosis I, features Chalkhill Blue butterflies, which I have hybridized with a hydrangea. These butterflies are indigenous to the South Downs. 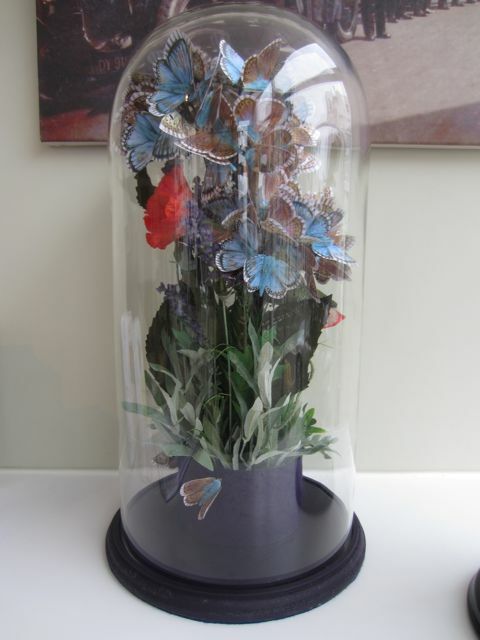 I presented both sculptures in glass domes as a reference to museum display cases of biological specimens. The two works are currently on show at Douglas Mercer & Sons, Funeral Directors, in as part of the Bexhill art trail, “Navigate”, which has been curated by David Rhodes of the De La Warr Pavilion, for Coastal Currents 2013. The exhibition continues until 6th October.